The next year in Polavaram is very crucial ... already the unpredictable decision of the three months has become a waste of time ... Chandra Babu has done how to bring the Navayuga, to the COFER dam and do things without stopping it ... However, The Center will make a lot of delays ... The cost we have already spent is over Rs 4,000 crore There is a danger of a political quarrel between the state and the central governments. In this situation, we are fighting against the TDP, the BJP and the ally, the Center and the other side, no matter what our concern is ... what the smile is, the Chandrababu has an atmosphere outside the NDA ... If it is ally, If the moon comes out, the situation can be assumed ... Polavaram national project ... the center should be given the money that is our right ... but as the center lucks, the project is getting late .. This is the key time. Do the work as much as possible in June ... If the rains begin to fall, the work does not work. 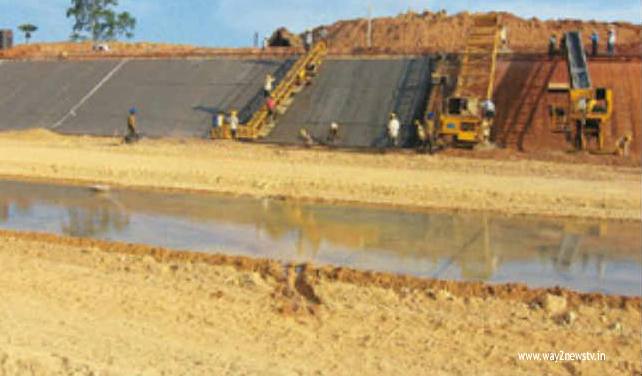 So, what are you going to do, Wed POLAVARAM case, based on the center of the fall, the project for, a sensational decision .. Andhra Pradesh state budget (2018-19) in the irrigation sector, zooming around Rs 24 crore. Official sources say that a single polavaram project would be allocated a maximum of Rs 13,000 crores ... i.e, if the center does not respond at the right time, the state will spend the money and then the money to be made as our rights ... the land should be given Rs 33,000 crores ... That's why the project itself has to do with the purpose of completing Chandrababu ..., except for the track, and it is unlikely that it will never .. So, we have to quarrel Chandrababu Naidu Center, without stopping the project, to be without difficulty, think of the look, in the state budget, POLAVARAM project has been to 13 thousand crore.